Our dog owners commonly ask, “What should I feed my dog?” Choosing your pets diet can be a difficult task as there are so many choices. Dog owners should assess the activity level, age and current health condition of their pet before choosing or changing the diet. Some of the newer holistic or whole food diets are not recommended for puppies or geriatric dogs. Dogs with special health conditions may have additional needs that should be discussed with your veterinarian. The dog is a domesticated ancestor of the wolf. Dogs are carnivores. They were designed to eat meat and thrive best on this type of diet. When the dog ate its prey they also ingested some level of greens or grains found in the stomach. The main stay of the diet should be from a meat source. There are basically three choices when it comes to doggy diets. The first is COMMERCIAL diet. Those are the dry or moist diets that can be found at the grocery or pet stores. They contain grains as their main ingredient, usually corn or wheat. 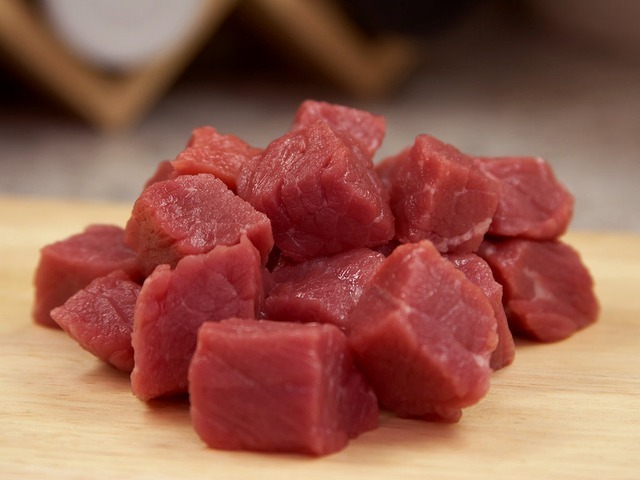 The meat source is typically a meat by-product. Meat by-product can come from a variety of sources but is defined as not fit for human consumption. Depending on the source the protein value can be poor. There is definitely a wide variety of commercial brands but the bottom line is they are usually deficient in meeting your dog’s nutritional needs. The second choice is a “NATURAL” diet. These diets can also be dry or moist. The biggest and most beneficial difference is that they don’t contain corn or wheat. The meat source is also a better quality. These diets can be found at pet or feed stores. These diets provide better nutrition then the commercial diet. Unfortunately, they are still processed and just because the bag says “natural” on it does not mean it’s the best choice. The third diet is a WHOLE food diet. They are made with unprocessed foods. They contain quality meat protein source and are very palatable. They are cooked or raw. Whole food diets can be prepared by you or can be purchased. There are many quality whole food diets that can be purchased at some pet or farm type stores. They are generally fresh or frozen. A whole food diet most resembles what a carnivore would eat. The biggest drawback is the higher cost. As with people, a dog’s health is partially based on a healthy diet. A healthy diet for our dogs is a diet that closely resembles what a carnivore would eat. A natural diet can be supplemented with additional meat, vegetables and eggs. There are numerous whole food diets on the internet or may be obtained from your veterinarian.